One of the best ways to ignite creativity is watching a good movie. For the last 30 years, SinemaTürk Filmzentrum e.V. has been provoking the creativity of Munich cinema lovers. Now it’s your turn! 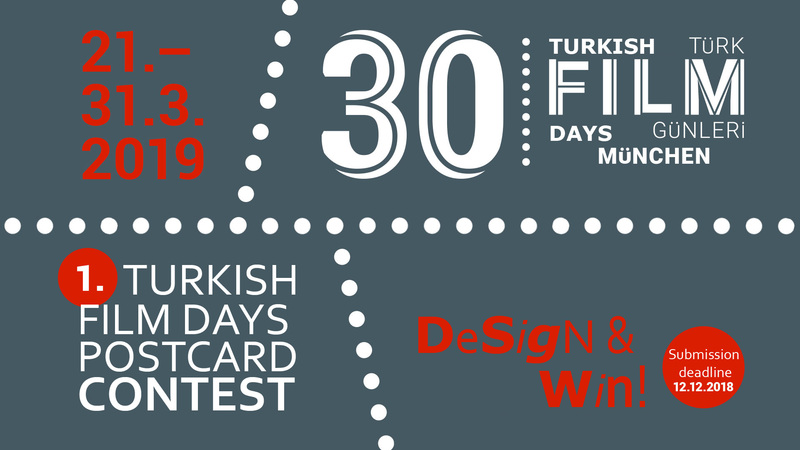 On the 30th anniversary of Turkish Film Days – Munich, we are holding a postcard design contest and inviting all designers, students and anyone interested in to join! We are seeking creative artworks to encourage participation and greater reach of the festival. Submit your artwork and get the chance to design a festival icon!